A miraculous mix of tango, theatre, and dance. Cambalache is the only festival in the world that intertwines the language of Tango with Dance and Theatre. It began in 2004 and has seen 12 successful editions. Governmentally-declared as a Cultural Interest, it has been established as the greatest artistic reference in theatrical tango productions. It is a space favouring the generation of new trends. It possesses an integrative nature, with an open call for submissions both domestically and internationally. It is managed by the artists who form the Cambalache Civil Association, founded in the year 2007. Countless artists have found the Festival to be a fundamental impulse in continuing with their creations and aesthetic quests, having been able to obtain the opportunity that all ideas need in order to come to light and be shared. The Cambalache Festival offers intimist performances or manifest spectacles that are presented in different formats: stage, traditional, performance, in festivals, theatre shows, and private events. The program is organized based on the selection of projects sent by artists around the world and companies who are specially invited for their outstanding careers. The selection committee is formed by the Director of the Festival as well as invited artists of well-known prestige. Display the production of shows, performances, and works in progress that fuse the dance of tango with theatre and dance. Amplify the areas of presentation, diffusion, analysis, and critique. Work as a network with the production of contemporary shows which enrichen the tango by means of investigation, exploration, and experimentation. Generate pedagogical projects which amplify the horizons of the shows and artists of the genre. The Program is organized based on the selection of the projects submitted by artists from around the world and casts that are especially invited for their noted trajectories. The selection committee is formed by the Direction of the Festival and invited artists of renowned prestige. ★ We will publish here the BASES of the Open Call to participate in the Cambalache Festival in its thirteen edition. The Cambalache Civil Association for the Promotion of Tango Dance Theatre was created in the year 2007 to promote activities and artists related to the objectives of the Cambalache Festival. It promotes the formation of young dancers and students of tango, awarding discounts for participation in the workshops and performances of the Cambalache Festival. The Cambalache Civil Association as a legal entity is recognized by Resolution of the IGJ No. 458/2009. The Directive Commission of the Cambalache Civil Association is formed by its President José Garófalo, Alberto Goldberg Treasurer, Irina Jabsa Secretary, and Alejandra Gutty, Claudia Lombardi, Nuria Schneller, Mario De Camillis, Cristian Catalan, artists with a long trajectories in the activity of tango and theatre as dancers, choreographers, stage directors, organizers and producers of events. The Cambalache Festival has been declared of "Cultural Interest" by the Ministry of Culture of the Presidency of the Nation, the Secretary of Culture of the Nation, the Legislature of the City of Buenos Aires, and the Municipality of Buenos Aires, from the year 2005 to 2017. 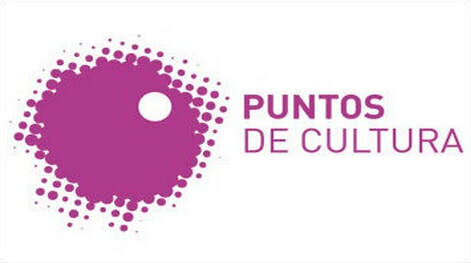 The Cambalache Civil Association is a member of the program of Puntos de Cultura, from the Ministry of Culture of Argentina.